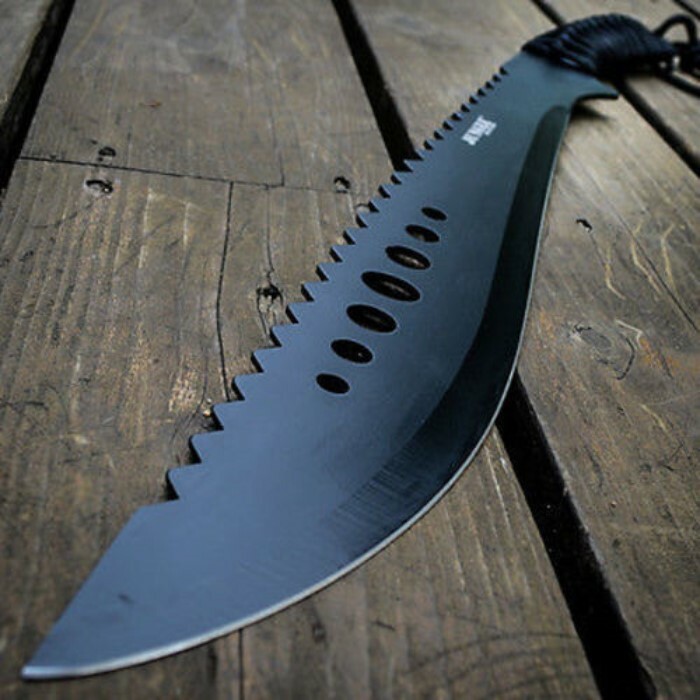 The classic bolo machete style has been improved upon by this modern piece. 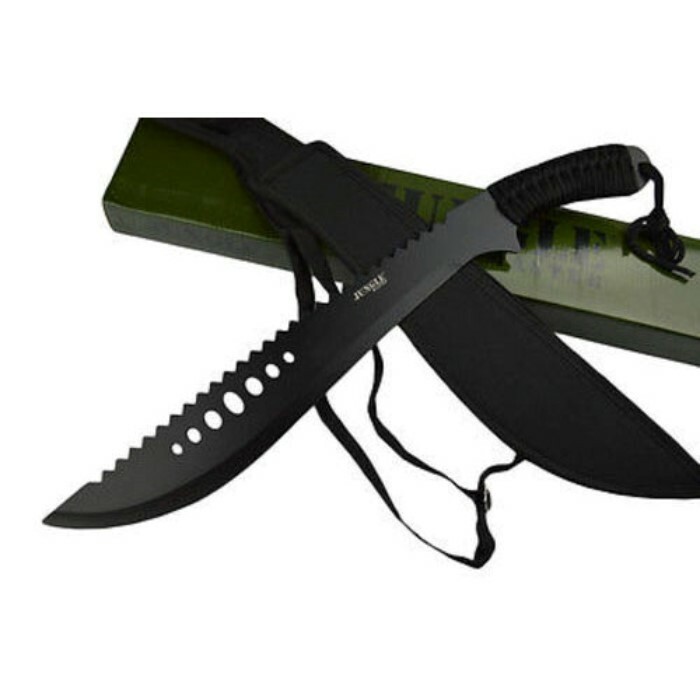 The swooping blade features a broad top for increased cutting ability, while the blade's spine is lined with spikes. A row of precision cut blade holes add a splash of style, and can also be used in survival situations to help fasten your machete to a staff or branch to make an improvised spear. 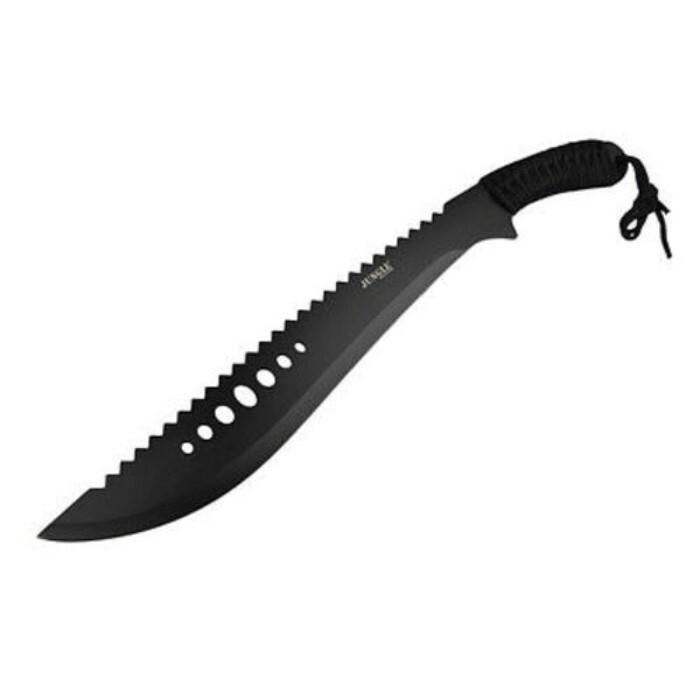 This full tang machete is crafted from a solid piece of 440 stainless steel and finished in black. 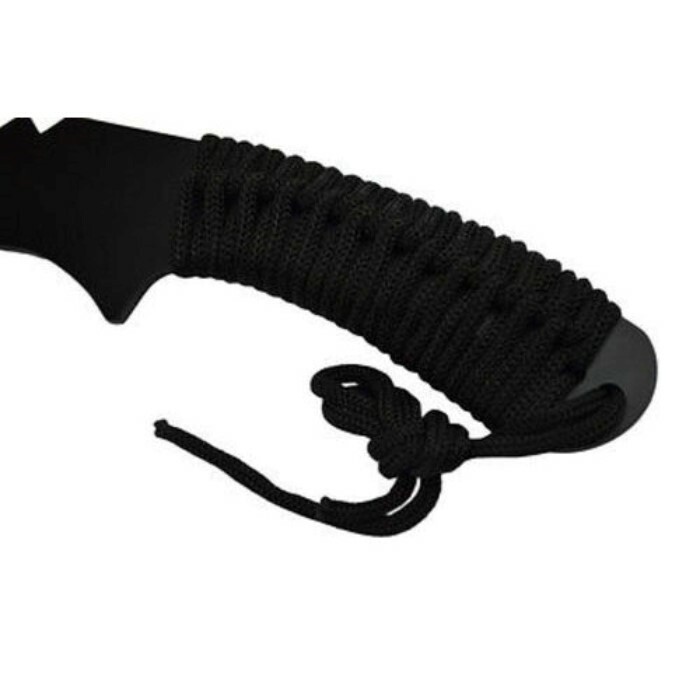 Other features include the cord wrapped handle and black nylon sheath with belt loop. 21 in. overall.